Applications for striplights range from lighting display cabinets, over mirror lights, picture lights, furniture and pelmet lighting as well as lighting aquariums. 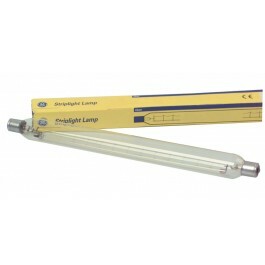 284mm length lamps also available. Also available as a 30w lamp. Incandecent striplights are not subject to WEEE tax.